Female macroptera. Body brown, tarsi and antennal segment III paler; fore wings weakly shaded. 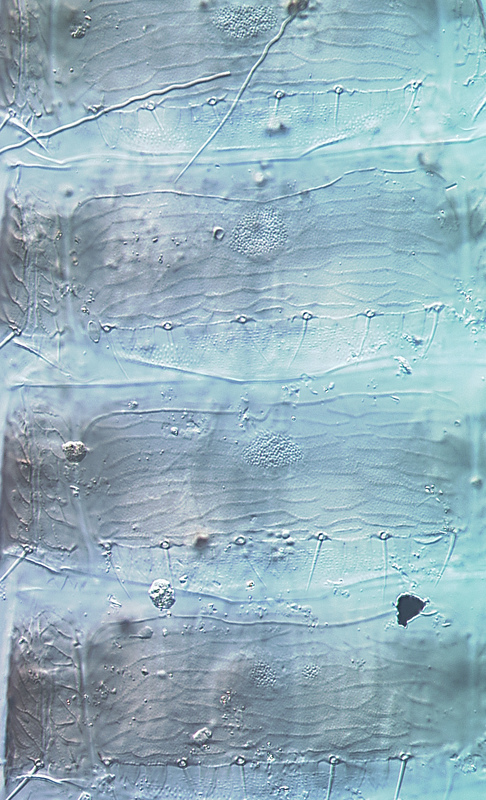 Antennae 8-segmented, II with internal and external symmetrical; III–IV with stout simple sensorium. Head scarcely prolonged in front of eyes; 3 pairs of ocellar setae, pair III lateral to fore ocellus. Pronotum trapezoidal, 2 pairs of posteroangular setae. Metanotum irregularly reticulate, median setal pair shorter than lateral pair. Prosternal ferna divided medially; basantra rugose, triangular; prospinasternum transverse, narrow. Mesothoracic sternopleural sutures complete; meta pre-episternum reduced, elongate triangular, not broadly band-like. Meso and metasternal furca with well-developed lateral flanges, without spinula. Fore wing pointed at apex, first vein with 2–3 setae on distal half, second vein with 5–6 setae. 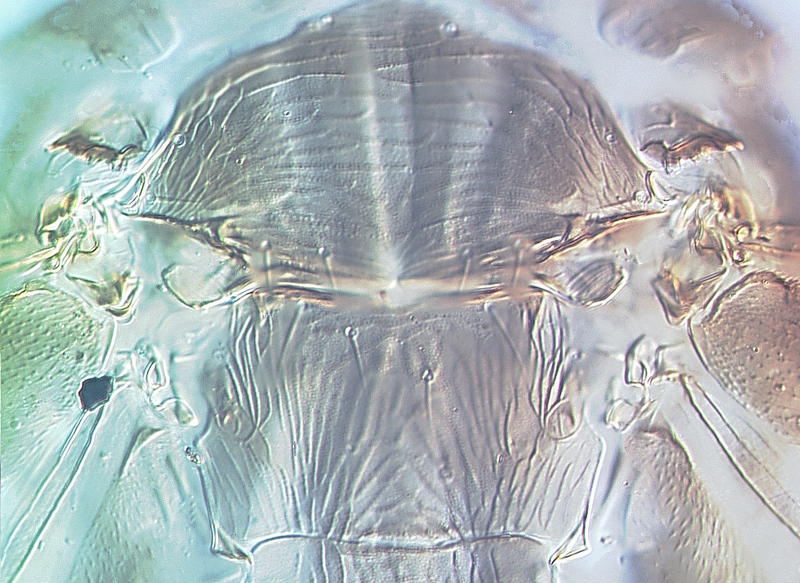 Tergites with many transverse lines medially, posterior margins with lobed craspedum; ovipositor moderately developed and bearing rows of teeth. Sternites with 3 pairs of marginal setae; posterior margins with craspedum of small pointed lobes, absent medially on VII. Male macroptera. 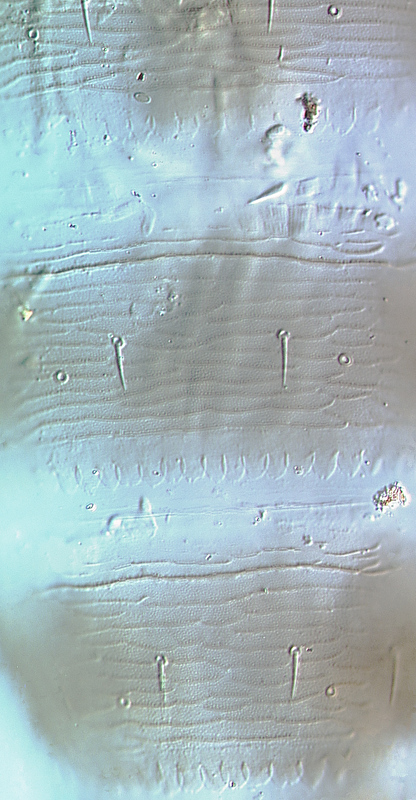 Similar to female; sternites IV–VI with circular pore plate. 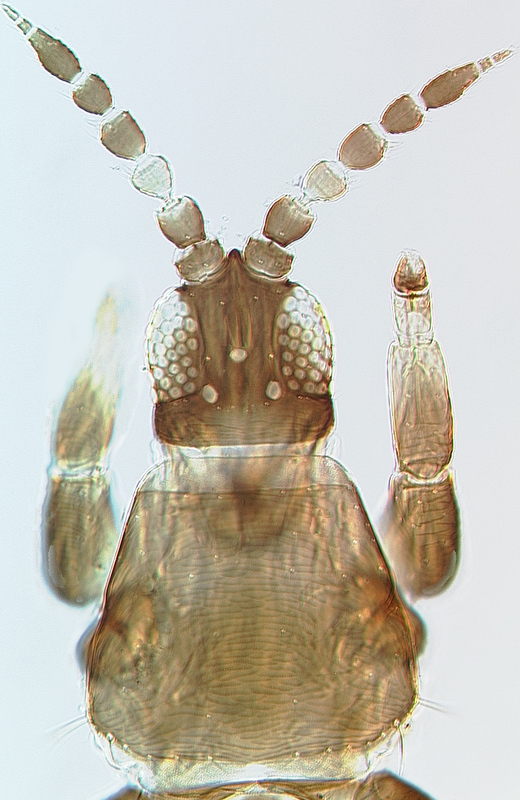 zur Strassen (1960) provided identification keys to over 50 species of Chirothrips, but Bhatti (1990) created six new genera for species placed originally in this genus. One of these six,Arorathrips, is represented in Australia. Chirothrips appears to be a genus of Holarctic species, whereas Arorathrips is from the New World. C. atricorpus is an unusual species in that the second antennal segment is symmetrical and not prolonged laterally as in most species of Chirothrips. East Africa, Ethiopia, Iran, Australia. Queensland, northern New South Wales. Various Poaceae species with no recorded specificity. Mound LA & Palmer JM. 1972. 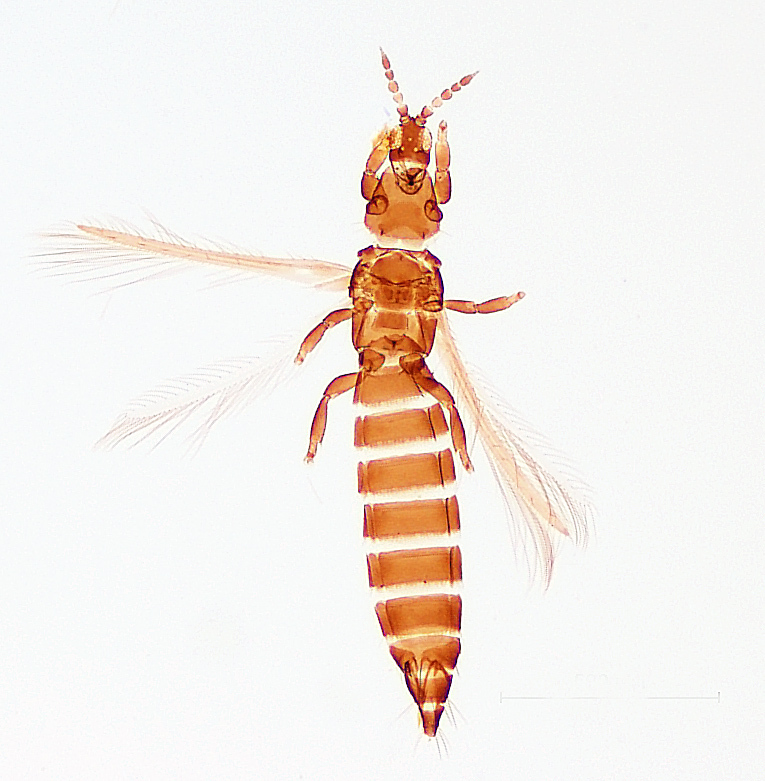 Grass-flower infesting thrips of the genus Chirothrips Haliday in Australia. Journal of the Australian entomological Society 11: 332-339.